This article has been an Imperial Archives featured article. The Corporate Oversector or 'CorpSec' is located at the front end of the Tingel Arm. 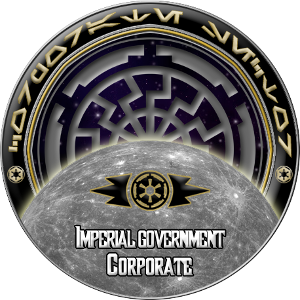 It was the territory of the Corporate Sector Authority, or CSA, before the Galactic Empire annexed the Region on Year 10 Day 72 of the New Order, and dissolved the government, an event known in CorpSec as 'the Nationalization'. The Sector is located in the Outer Rim Territories. The Hydian Way connects CorpSec to the rest of the galaxy. The Galactic Republic first formed the Corporate Sector over 500 years ago, a political move called the 'Corporate Sector Initiative', to settle the differences between Republic politicians and corporate executives. The Tingel Arm was the region chosen by the Galactic Republic Senate as the location of a new, semi-autonomous zone in which the corporations could pursue their own agendas, as it was a region supposedly devoid of indigenous sentient species. The corporations allowed to operate in the sector purchased entire regions of the zone, and could administrate them as they wished, but the Republic supervised them and reserved the right to patrol the newly established Corporate Sector. The leaders of said corporate interests eventually banded together to share the expenses and profits of this new frontier, thus creating the Corporate Sector Authority, or CSA, led by an official elected by the Executives of the Corporations (known collectively as the 'Direx Board'). This official would come to be known as the ‘ExO’. Over time, both the influence and the size of CSA space grew beyond the bounds of the zone, bolstered by a continuous influx of colonists from throughout the Core Worlds and the Inner Rim, as well as rapacious development fueled by the profit from the mineral-rich worlds under CSA control. The colonists themselves mainly consisted of Human and Duros hailing from heavily overpopulated worlds, with a panoply of other alien races accompanying them to settle the new frontier as well. As the Authority grew, its budding economy became the target of pirates and other criminal interests throughout the Galaxy. The Republic, itself undergoing a period of economic uncertainty, vowed to suspend its policing operations throughout the Sector, which threatened to leave the citizens and merchants of the Corporate Sector to fend for themselves. The Senate, however, stated it would allow CSA to raise its own security forces with legal impunity if the fledgling government agreed to pay the Republic government an annual tribute. Despite being an unpopular policy on many CSA worlds, the ExO at the time agreed to this proposal, enabling the Authority to raise its own Armed Forces. This became CSA’s Security Division, made up of the Security Police for planetary defense and law enforcement, and the Picket Fleet, which would carry out the same role as the Security Police in a naval capacity throughout CSA space. As the years passed by, anti-Republic sentiments grew throughout the Sector, since many of CSA’s member worlds could barely afford to contribute to the arguably exorbitant tithe owed to the Senate, and the inescapable upkeep of the Security Division severely weighed down on the Sector’s prosperous economy. It is not hard to imagine why so many CSA systems secretly joined the Confederacy of Independent Systems shortly before the outbreak of the Clone Wars, as Republic taxation of the Outer Rim only increased hostility between both civilian governments and corporate interests, although these worlds had made some effort to conceal their true colors until the right time. When the conflict finally broke out, over 3 quarters of the Authority’s systems had declared their allegiance to the Confederacy. However, a few worlds remained loyal to the Galactic Republic, viewing it as the lesser of two evils. Foremost among these worlds was Bonadan, the strategic gateway of the Corporate Sector to the rest of the Galaxy, and one of the few CSA worlds that had prospered from trade with the Republic. The leaders of the CIS greatly desired control of Bonadan, since its strategic position, industries, and wealth would guarantee Confederate control over the Corporate Sector, and deal considerable damage to the Republic’s infrastructure and already tenuous hold on the Outer Rim. The Separatists deployed whole fleets to subjugate the resistant world, but each time, Bonadanian forces managed to repel them. However, the numbers of Confederate ships grew with each attack, and the Bonadanian planetary government, realizing the danger it was in, called for Republic military aid. The Fourth and final Battle of Bonadan, fought in the last year of the Clone Wars, saw the beleaguered Loyalist CSA forces bolstered by the 14th Republic Fleet, which had recently succeeded in breaking through the Separatist blockade of the Hydian Way. The 14th arrived just in time to reinforce the wearied Loyalist Picket Fleet, and a whole legion of Republic Clone Troopers dug in with Bonadan’s Security Police forces on the surface to defend the planet in the event that the Separatists succeeded in securing orbit. This time, the CIS did not dispatch a mere fleet to Bonadan; it had marshaled a whole armada, a force that would have easily destroyed the remains of the Picket Fleet if Republic reinforcements had not arrived in time. With the arrival of the 14th, the odds in the coming battle were slightly better, as the CIS Armada still outnumbered the Combined Loyalist Fleet two-to-one. In the opening salvos of the battle, the entire Confederate force concentrated its fire upon the 14th’s flagship, incinerating the Fleet’s command staff, and its CO, Admiral Ibrahim Kitharas, in an effort to scatter the Republic forces and quickly win the day. However, the Confederate commander failed to anticipate what happened next. Koltana Evard, Acting Captain of the Steadfast, an Invincible-class Dreadnaught flying under the colors of the Loyalist Picket Fleet, immediately assumed command of the whole Combined Loyalist Fleet, and she personally led a detachment of the fleet intended to hit the Confederates in their over-extended right flank. Instead of carrying out her plan of attack, however, Evard saw an opportunity to surround the enemy fleet and attack them from their rear, encircling the whole enemy Armada and striking the massive bulk transports the Separatists were using to transport their ground forces. As the transports were priority targets, the Confederate commander had no choice but to commit a portion of the Armada to defend them, effectively dividing the Armada in two. Seeing the chance of victory, the rest of the Combined Fleet rallied and exploited the opening Evard had created. In the end, of the 400-ship strong Armada it had marshaled to take Bonadan, the Confederacy limped away from the decisive defeat with barely 50, not including the Separatist command ship, which Evard had destroyed. It would be the last time the CIS would attempt to conquer the Loyalist world, and Captain Evard, for her valiant actions and decisive leadership, became a military hero and the toast of the homeworld she had saved. With Bonadan secured, Republic forces streamed into the Corporate Sector with impunity, aided by Evard’s fleet and defecting CSA worlds that the Separatists had 'forcibly annexed'. By the War’s end, the once significant CIS presence in the Corporate Sector had diminished to virtually insignificant enclaves that CSA forces easily reclaimed. With the surviving CIS leadership on Vinsoth eradicated by the Sith and the Separatist Droid Forces deactivated, the Clone Wars at last came to an end. 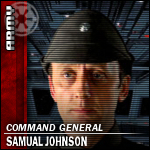 When Supreme Chancellor Hiram Drayson reformed the Galactic Republic into the Galactic Empire in Year 0, the new Imperial government did not forget the invaluable service the Loyalist CSA forces contributed to defeating the Separatist menace. 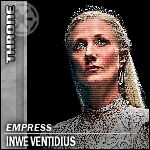 In recognition, the Empire allowed the Authority to remain a semi-independent faction, so long as an Imperial Advisor retained a seat on the Direx Board to represent the interests of the New Order in CorpSec. The Imperial government still demanded tribute from the Authority, but this was nowhere near as exorbitant as the tithes the Senate had demanded, increasing pro-Imperial sentiments in the region. The new Imperial Navy offered Koltana Evard, the ‘Savior of Bonadan’, a position in their organization with her own command, but she declined, stating that her loyalty was to Bonadan and the Authority, not to Coruscant and the New Order. For her service during the Clone Wars, the Direx Board requested that the Office of the Auditor General (the title of the Security Division's CO) promote Evard from the position of Acting Captain to full Captain. When the War began, Evard held the rank of Lieutenant, now she held her own command. Imperial naval forces formed out of the Republic’s 14th Fleet eventually found what remained of the CIS Armada that had escaped the debacle over Bonadan, and the Empire offered to sell these now derelict ships to the Authority to help rebuild its devastated Picket Fleet. These ships included a dozen Lucrehulk-class battleships, six Recusant-class destroyers, three Providence-class carrier/destroyers, and several dozen smaller support ships. The Authority also staked an interest in purchasing scores of ex-Confederate warships and military materiel claimed by Republic forces at the Battle of Murkhana, where the Republic engaged the pro-Confederate Corporate Alliance. These, along with decommissioned first generation Victory I-class Star Destroyers that had served as warships in the Republic Fleet, formed the core of the new CSA Picket Fleet. "Let it be known that the Empire is dedicated to ensuring the continuing security and stability in the Corporate and Kanz sectors. We do this for the people of the Corporate Sector, to ensure that the prosperity they seek there can be had by them." As the years went by, however, increasing mismanagement and clandestine corporate feuds between members of the Direx Board, began to remind officials in the Empire of the paralyzing bureaucracy that had nearly spelled the end of the Galactic Republic their New Order had replaced. 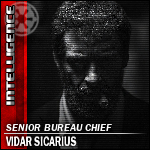 The current ExO and leader of the Authority, Max Solusar, was powerless to fight the rampant corruption or prevent armed conflict from breaking out, and thus made an appeal to the Galactic Empire to restore order in the Sector. When the threat of a civil war in the Corporate Sector seemed inevitable, the Empire responded by launching a peacekeeping campaign with the goal of nationalizing the Corporate Sector. When the political situation became untenable on Day 72 of Year 10, Solusar stepped down as ExO, and an Interim Imperial government in the region was established, led by Orphaea Imperium, which existed for just under a standard month. During this time, the Empire also offered all CSA military officers commissions in the Imperial military, and most accepted, although a few, most notably Admiral Koltana Evard, refused to accept the Imperial commissions offered to them, citing their oaths of allegiance to the failing government, and retired from active service. Despite this defiance, on the 102nd Day of the 10th Year of the New Order, the Empire completed its nationalization program, leading to the final dissolution of the Corporate Sector Authority and the disbandment of the Picket Fleet. Many of CSA’s former constituent members, including Myorzo Weapon Systems, Primus Medical, Magnaguard Manufacturing, and Bonadan Heavy Industries (BHI), agreed to become Imperial corporations under the jurisdiction and administration of the Imperial Ministry of Industry. 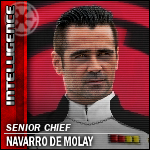 The Imperial Throne instituted a regional Moff to serve as the governor of the sector to oversee all CorpSec development, including military and economic programs involving the region. CorpSec has seen a great deal of infrastructural reform since the Imperial Nationalization of Year 10. In the years following the Nationalization, the scores of less developed planets of the Corporate Sector have seen more attention, resulting in tremendous population growth and general improvement of quality of life, and the Sector has seen a major increase in both construction projects and fiscal income. 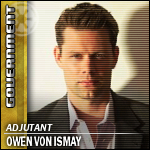 In addition, freed from the unreasonably high tribute the wealthier CorpSec worlds owed to the Galactic Republic, these worlds have more credits to spend on improving their own infrastructures, and assisting in projects designed to assist in the betterment of the whole Sector. Everard de Montfort, Moff of the Corporate Sector, replaced Eric Jackson in Year 15. 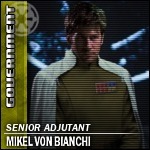 ISB-Director Mikel von Bianchi replaced Moff de Montfort early into Year 16, after the sector was elevated to the status of Oversector - solidifying its importance as a major center of the Imperial cause. This page was last modified on 18 February 2019, at 02:58.